The Round Bulkhead lends a retro industrial feel to any wall. 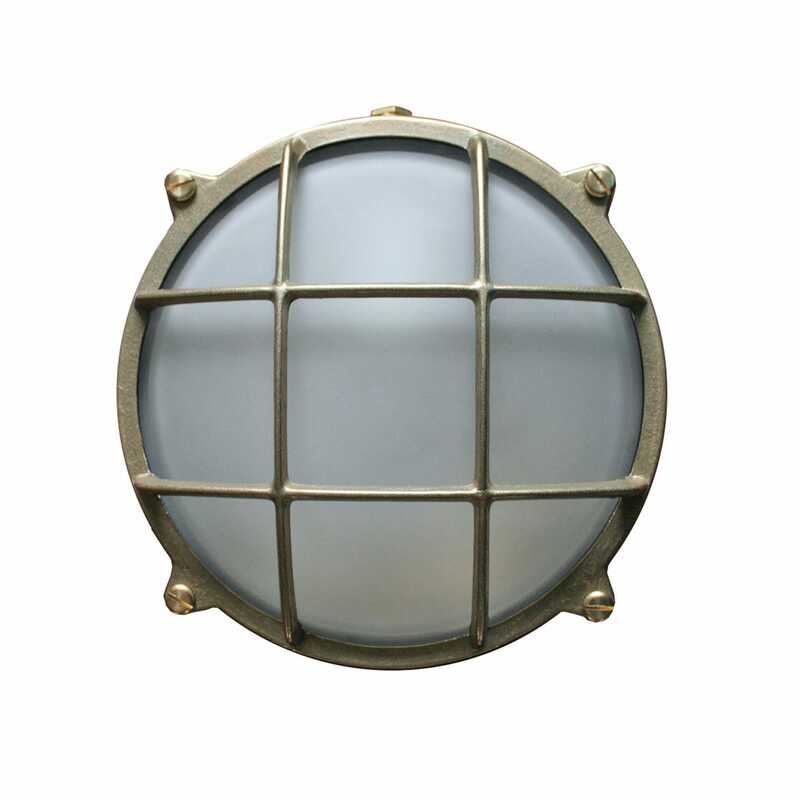 A Guarded round bulkhead light available in brass or nickel. Three sizes of die-cast bulkhead light with frosted glass. Suitable for exposed exterior use. Front guard secured by wing nuts. With either internal or external fixing points. The wall lamps came in good condition. However, after a few days of being installed the glass in one of the lamps has cracked. It is a pity as the lamps are very nice and the other one is ok. There is no apparent reason for the glass to crack. All I can think of is that it might have had a hairline crack... Read More. The wall lamps came in good condition. However, after a few days of being installed the glass in one of the lamps has cracked. It is a pity as the lamps are very nice and the other one is ok. There is no apparent reason for the glass to crack. All I can think of is that it might have had a hairline crack in it that we did not notice. Is it possible to get a new glass section for the lamp?